Chinese/Japanese characters are lost on the screen with Windows RDP client. I encountered a problem with Windows RDP client 6.0.6001 (in XP 32bit and Vista x64). The guest OS is Windows XP SP3, while the host OS I tried Linux and Windows Vista (VirtualBox 2.0.6-2.1.0). Please see and compare the following two screen shots. The problem is some Chinese and Japanese characters are lost in some applications (eMule for example). As you can see in the second image, many text in the sidebar are disappeared. I tried all color depth and settings in the RDP client and it always occurs. Though it doesn't occur in Linux rdesktop (1.6.0) client. vrdp-broken.png (46.8 KB) - added by JackieKu 9 years ago. rdp-ok.png (48.9 KB) - added by JackieKu 9 years ago. Same problem here. It's seem to be the problem of Guest Additions (exists since Guest Additions v.1.6.0). As I have virtual machines with Guest Additions 1.5.6 works fine, no matter which VirtualBox version is (1.5.6, 1.6.0, 2.0.6 and 2.1.0) But virtual machines installed Guest Additions 1.6.0 or newer (I tried 1.6.0 and 2.1.0) would display like what JackieKu? 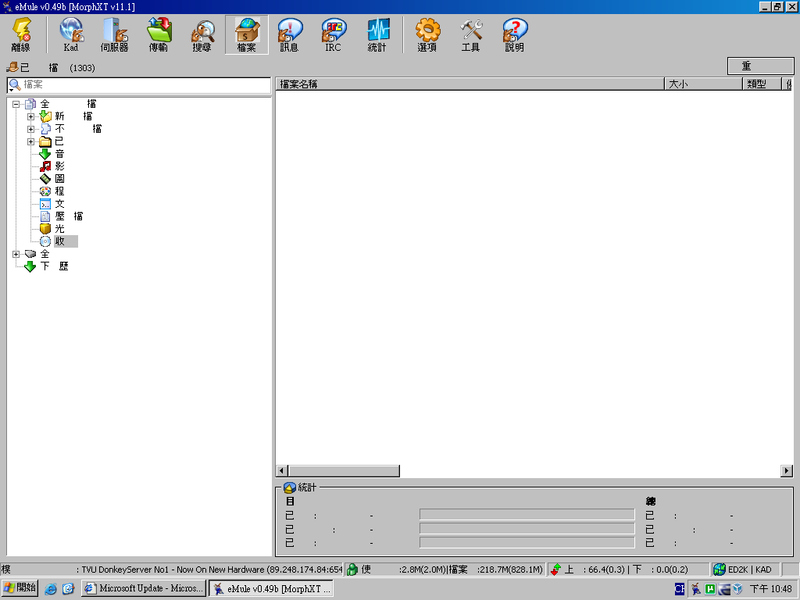 's second screenshot in RDP. If you found a disk image of Guest Additions version older than 1.6.0 and install it to the virtual machine the problem will be solved. Replying to rickylau: I confirmed it with Guest Additions 1.5.6, it doesn't have this problem. But 1.5.6 doesn't work well with current VirtualBox, so it should be fixed in latest versions. Attach the two images as googlepages.com has been abandoned. This bug still exists in 3.1.0. 3 years, from version 1.6.0 to 4.1.2, this problem are still not fixed. Replying to sunlover: The problem has gone with the GA build of guest additions. Thanks. Very good. Thanks for testing! The fix will be included in the next VBox release.